Last month I attended the Modern Trousseau Nashville White Hot Summer Soiree, and what a party! Mary Claire, the store manager, did a fantastic job putting this event together. I was excited to see the space since I hadn’t been before and also see all of their beautiful gowns. Ladies, if you’re looking for a custom made wedding dress this is your place to shop. Each bridal design can be tailored to a bride’s individual style and all of the Nashville gowns are designed and made in the USA. The night ended with a fashion show of some lovely Modern Trousseau bridal gowns and evening wear. The models were accompanied by “grooms” that were outfitted by J.Michael’s Clothiers. 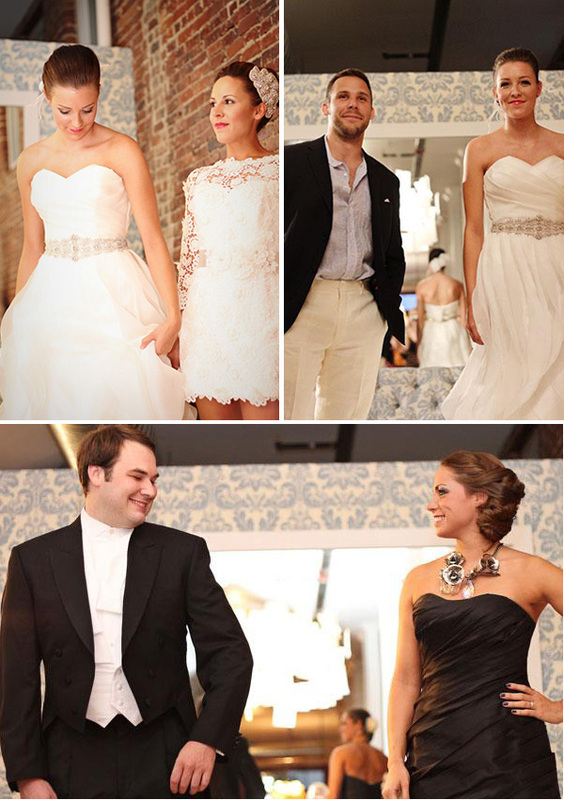 Brocade Designs completed the looks with boutonnieres and bouquet’s. Thank you Mary Claire for throwing such a fabulous party, looking forward to the next one! 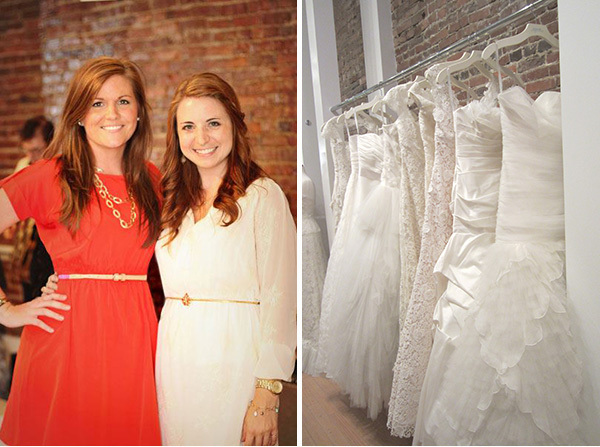 Her Nashville & Nfocus Magazine Bridal Brunch Ticket Giveaway! Date Night Ideas – Tango Classes! Make Your Own Wedding Guest Book!